Lydia Gable is an experienced and respected realtor who has helped individuals and families find or sell their home successfully in LA & Ventura County. 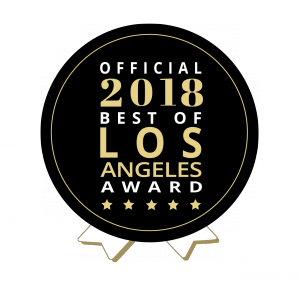 LOS ANGELES, CA, UNITED STATES, October 1, 2018 /EINPresswire.com/ — Lydia Gable has won the Best of Los Angeles Award for “Best Residential Realtor- 2018”, according to Aurora DeRose, award coordinator for the Best of Los Angeles Award community. Lydia Gable is an experienced and respected realtor who has helped individuals and families in a number of Los Angeles and Ventura County communities find their new home or sell their home successfully. Her background in corporate negotiation gives her the knowledge and experience that can make a difference in securing the best terms for her clients. As one of the leading real estate agents in the Conejo Valley, Lydia has been honored with several prestigious awards. Moreover, she is Quality Service Certified as 1 of only 5 agents who have achieved 100 percent client satisfaction according to a third-party survey 3 years in a row. “If you have questions about how our team can help you buy or sell a home in Thousand Oaks, Westlake Village, Conejo Valley, Newbury Park, Agoura Hills, Oak Park, or Calabasas, don’t hesitate to get in touch with our team today,” Gable concludes.